Got this envelope from ebay. Pretty interesting history. I wonder if the Lt. R. S. Smith survived the war. this is how it looks now, could be the same house? I was thinking of driving by next time I was going to be in that part of town but... I forgot Google has street view! The 30th was a part of the 19th BG, which arrived just about the time the letter was mailed. Must have been a "I got here safe" letter. There is a 19th BG/BW association. Maybe you could track down the gentleman on their website or by checking with them. Hey Vic. & Rick...This is rather belated info, but a 2nd Lieutenant Richard F. Smith is listed as being a member of the 30th Bomb Squadron in William Bartsch's book, "December 8, 1941". There is no R.S. Smith on the Squadron Officer Roster posted in the index. Maybe a "typo" in the manuscript. Richard F. Smith is the only Smith listed and the author of the letter ain't gonna forget his middle initial, lol. Just thought I would add this little tidbit to the discussion. Sorry I have been so remiss in posting this bit of info. This envelope is rather intriguing. Little did this young Officer know what would transpire in his young life just days away. Cheers. Hey Vic...This Lt Smith wasn't killed at Clark Field during the bombing raid or at least he isn't listed in the casualties in the book index. Of course, he could have "bought it" later flying missions, either in the PI or later down in the Dutch East Indies. It is an intriguing question, isn't it??? 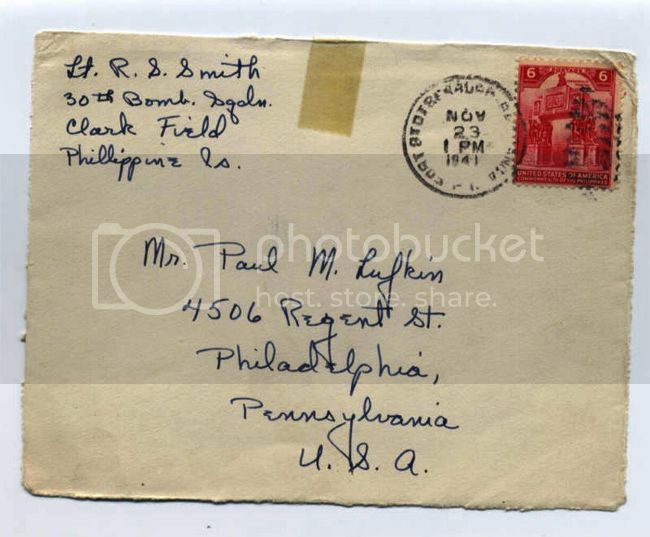 Seems as though we kinda know him due to that long ago posted letter back home to Philly. Or he may have survived. I think you're right... the middle initial may have been a typo. Alas, Richard A. Smith, promoted to Capt. #0-019512, did not survive. 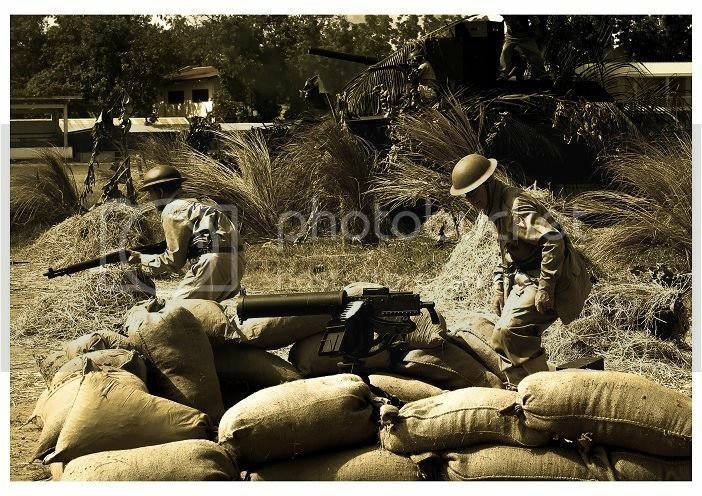 He was transferred to 92nd Coast Artillery on Corregidor, captured. Last known camp Cabuanatuan. Died 27 Jan. 1945. From ABMC records. Thanks for the info PeterO. He died Jan 27th 1945? What bad luck... three more days and he'd have been rescued by the Rangers in Cabanatuan. 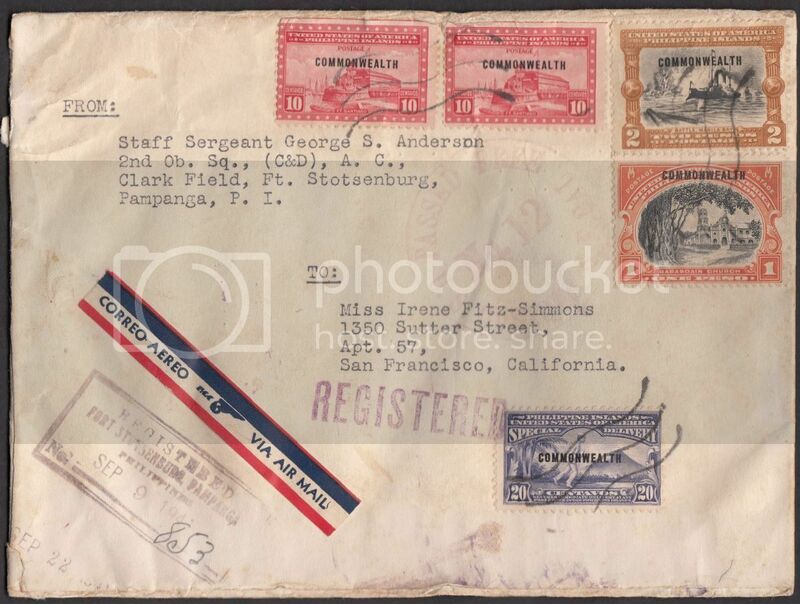 Another mail cover from Calrk Field/Fort Stotsenburg.